The first confirmed specifications of a card based around Nvidia's GeForce GTX 580 1.5GBreference design have leaked onto the net, courtesy of an over-eager Asus. The Asus Graphics Configuraiton and Price page details the company's offerings in the graphics card market, and a new entry has appeared at the very top: an Nvidia GTX580 1,536MB, model number ENGTX580/2DI/1536MB. Described by Asus as the 'Standard Edition' - hinting at higher clocked versions to come - the company's inaugural GTX 580 card will apparently ship with 1.5GB of GDDR5 graphics memory clocked at 4,008MHz on a 384-bit bus. 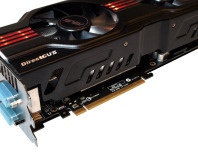 The core clock speed of the card is rated at 772MHz, while it will apparently feature dual-DVI connections, a single HDMI connector, and analogue VGA output. 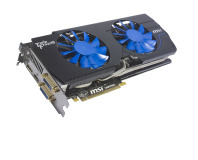 The GeForce GTX 480 1.5GB has a 700MHz GPU Core frequency. Further details about the card, such as the number of stream processors that it will feature, don't make an appearance on the site, which is merely a guide price list for its resellers to use. 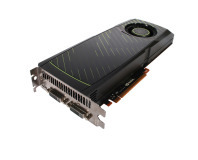 The price, meanwhile, could bring a tear to the eye of even the most ardent of Nvidia enthusiasts: priced in Yuan, the card is priced at just over the equivalent of £445 - but when VAT is taken into account, the card could hit the UK markets for over £500, if the leaked pricing information is to be believed. With Asus claiming that the prices on its site are valid as of the 1st of November 2010, it looks like Nvidia's latest Fermi GPU could be hitting the streets sooner rather than later. The question is, will anyone be able to afford it? Do you think that the Asus GeForce GTX 580 1536MB sounds like a winner, or does the pricing put you off no matter what the performance might be? Share your thoughts over in the forums.